Just two days ago, there were some rumors that Xiaomi’s next flagship the Xiaomi Mi5 will go for sale in November and will sport fingerprint sensor along with Snapdragon 820 SoC and will also feature 4GB of RAM. Today, Xiaomi’s next two phones were leaked along with images via Chinese micro-blogging site Weibo. 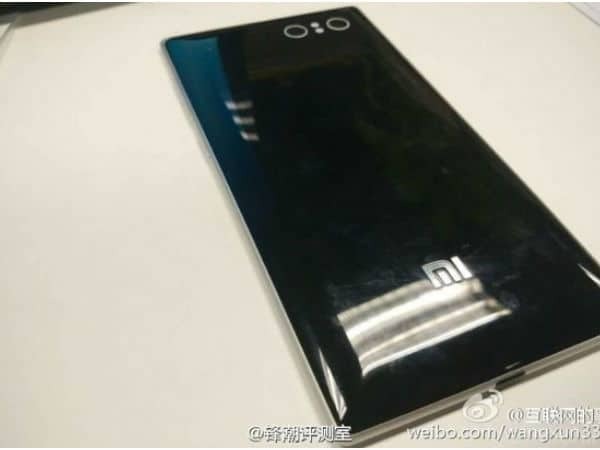 In the picture below you can see a Xiaomi phone which is being believed to be the Mi5, the next flagship from Xiaomi. And the picture reveals that the phone will boats of dual camera and dual flash. Earlier, we knew that Xiaomi Mi5 will be powered by a Snapdragon 820 SoC and 4GB of RAM, along with fingerprint sensor, but now more details have been revealed. The phone will feature a 5.3 inch display at 1440×2560 pixels resolution, with a pixel density of 554ppi. The phone will have 16GB and 64GB internal storage variants. There will also be support for expandable storage on microSD card. another phone has also be leaked and is being believed to be the Xiaomi Redmi Note 2, which you can see in the picture below. 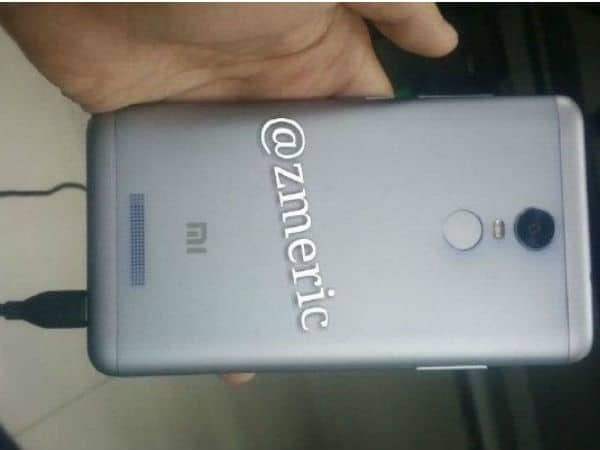 There are no detailed information about the alleged Redmi Note 2, but the leaked images show back of the device with fingerprint sensor, which is just below camera and LED flash. However, the phone looks to be plastic built. So, that’s what we know so far. So, Xiaomi is planning to launch a flagship and a another phone from their Note series, however the exact dates are not available, but they will be launched in the month of November.